Hello, Kobe, God dag, ¡Hola!, Olá, Guten Tag, Halló, Dia dhuit, Ciao! (Please insert your traditional informal greeting of choice). You may have stumbled across this blog through a variety of means. You may have found it because you're a regular reader of my blog at www.foldsfive.co.uk in which case – hello, old friend! You may have found it because you've got one of my business cards or you've seen the link in one of my books that you've purchased - in which case I thank you for your patronage and I hope I can provide some manner of entertainment on these pages. There is also of course the remote yet distinct possibility that you've found it by randomly mashing at your keys and have just so happened – by sheer coincidence - to have entered the exact web address of this site. If that is the case, you are very special and have a potentially very promising and lucrative career ahead of you in the scrying industry. Why another website? There are numerous reasons, but predominately because I imagine that regular readers of my blog are sick of my rampant self-publicity and want it to return to the old days of it solely containing me being angry and swearing. This (mostly) separate blank slate gives me the opportunity to do just that. But, whoever you are and for whatever reason you're here, you're all very welcome (unless you're a massive bigot, a spam-bot or a member of an invading alien species, obviously). Please add yourself to my follower list so I know that there is somebody out there in the void. And it goes without saying - but oddly I'll say it anyway - that any comments you post are always very gratefully received. So, a little about me. I've always been a keen writer but it's only been recently I've taken it any further than just an occasional hobby and actually put it out there for the world to see. Back in 2013 when I felt I had enough short stories and poems behind me to constitute a reasonable body of work, I self-published "The Shadow Cast By The World" (it's also worth noting that the eponymous first story of that compilation was published separately in the first volume of the excellent horror anthology "Fear's Accomplice"). I began work on the novel "Version Control" around this time last year and that's currently being bandied around various agencies. 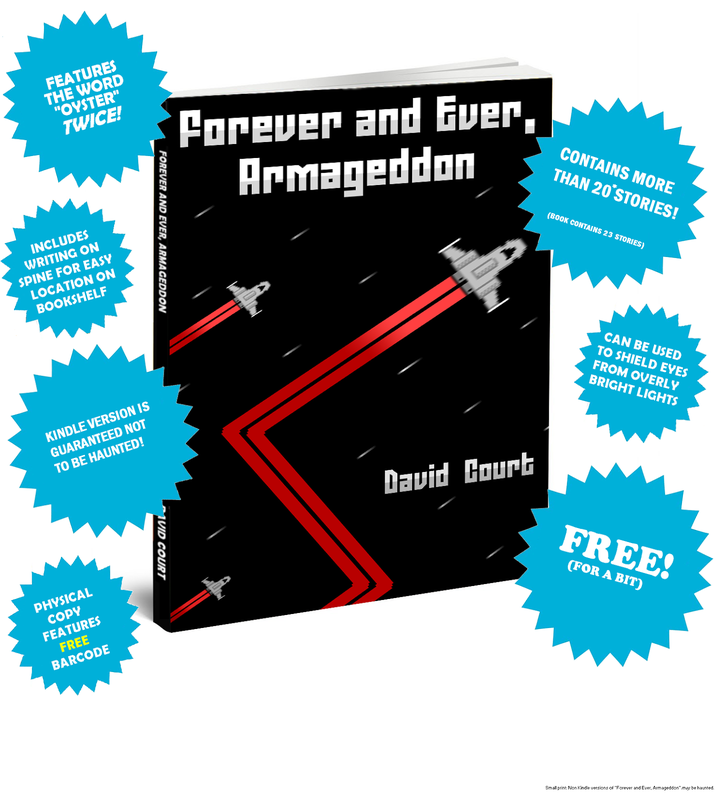 Whilst working on this I was still writing the odd short story in frequent bursts of creativity - all of which have subsequently been bundled together and released under the collective title of "Forever and Ever, Armageddon" (which is a title I'm very smugly pleased with). One of the short stories from that set - "Undercurrent" - has been published in the holiday themed horror anthology "Terror at the Beach". Thanks for popping by, and thanks for reading.